To some, after Blackberry completely sank in the phone manufacturing industry, the next in line to sink together is Microsoft with their Windows phones. If you look around or might have noticed presently in the smartphone industry realm, Microsoft has remained almost like a shadow in itself. As Apple and Samsung continue to blossom like flowers with new and powerful device release every now and then, not much has been heard of Microsoft since the beginning of this year. In fact these days, you will hardly see people holding a smartphone with Windows logo on it. For us, the last time we heard and took notice of Microsoft launching a smartphone was earlier this year when it came up with the Microsoft Lumia 650 device, which is even in no way comparable with other 2016 high end devices launched by other smartphone OEM. Remember that barely a week ago; Blackberry came out plainly to inform the public on their complete shift from phone manufacturing, in order to allow them concentrate more on their software line of businesses. Even at that, we still managed to see the dying Blackberry recently vomiting http://ghchjgv.blogspot.com /2016/07/blackberry-secretly-unleashes-its.html" target="_blank">Blackberry DTEK 50 and http://ghchjgv.blogspot.com /2016/09/blackberry-dtek60-up-next-as-specs-leak.html" target="_blank">Blackberry DTEK 60 android smartphones. Unlike Blackberry, Microsoft on the other hand is yet to come out plainly to let us know whether they are also planning shifting their line of phone manufacturing business into other venture, but all indications are pointing out that they are quickly losing steam in the phone production arena. If Microsoft is having underground plans of coming out with something bigger in the phone industry, we believe that leaks and rumours might have surfaced in one way or the other; rather, they more we wait to see if Microsoft will surprise with something great, the more Window phones are appearing less significant by the day. Though, one might have thought that the coming of Microsoft Windows 10 OS, since last year, would have reposition them in better light in the smartphone production world; but now it is almost glaring that Microsoft is quickly losing steam and is appearing like an OEM that needs some adrenaline for a quick comeback. At this point, if Microsoft still want to remain relevant in the mobile industry, maybe a suggestion to shift from smartphone to their Surface Pro hybrid tablets would be more appropriate, since they are still firing up that line of their businesses with newer and better Surface-Pro devices emerging. 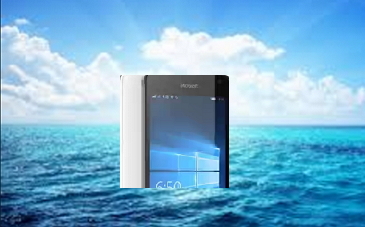 Finally, it looks like the smartphone wars suddenly became bigger than Microsoft expectations, thus they are getting overwhelmed by competitors; and one might not be surprise if Windows phone is declared the next sinking ship in the mobile phone industry. you just read the article about Microsoft Quickly Losing Steam Power On Windows Phone Production and can you bookmark or share with link https://ghchjgv.blogspot.com/2016/10/microsoft-quickly-losing-steam-power-on.html so thank you.